Don't wait till the next storm, call today or fill out our online form and we will contact you. Frost Roofing and Restoration is one of the highest rated and most respected roofing contractors serving the greater Indianapolis area, south and south-central Indiana. We are extremely proud of our reputation for professional, quality roofing installations, new siding and roof repairs. Our long list of satisfied customers can attest to our dedication to 100% customer satisfaction. Click here to see what some of our clients have to say about our roofing services. We install new roofs and replacement roofing and siding for all types of businesses and residences. We also service and repair all sorts of roofs and siding for our commercial and residential clients. We offer all the latest, top-quality roofing options including metal roofs, asphalt shingle roofs, cedar shake roofs, etc.. and our specialized crews are fully trained on all current products, industry standards, and techniques to install whatever type of roof will best suit your needs. 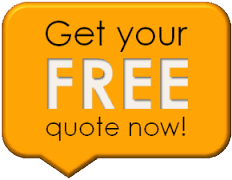 We offer a no-obligation consultation and free estimates on all new and roofing and siding installations, and we would be happy for the opportunity to meet with you to discuss your goals and offer solutions to suit your individual needs. Our #1 goal is to design a beautiful and affordable solution that meets your needs and helps you get the most out of your investment. We are proud to offer several financing options, and if your project is being handled by insurance, we make the process smooth and easy for you. With previously licensed insurance adjusters on staff, we are able to effectively manage your insurance claim and work with your insurance company to work out all the details and get you the best possible settlement possible.